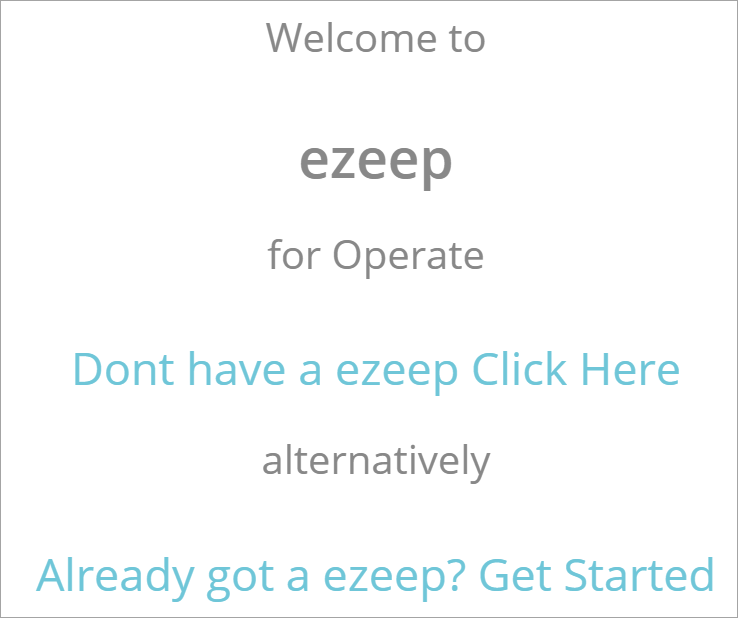 This guide will cover the way you can integrate Ezeep with Operate. For more information on how you can configure an Ezeep user account and start printing, please see Getting Started with Ezeep. Ezeep is a cloud managed printing platform that allows you to provide your customers with free printing credits they can use throughout your organization. Your customers and their staff can start a print job from their computer, using Ezeep, then pick up their print from any device within the organization. The Ezeep-Operate integration allows you, as an Operator, to provide your customers with any number of printing credits as well as to automatically charge for prints coming from your Ezeep account. In a nutshell, Ezeep lets your provide the printing service, while Operate charges for it and includes it in your monthly invoices. Firstly, you need to be either an Operate Admin or part of a user group that has access to the Integrations section to be able to proceed. You also need credentials for the Ezeep Administrator account that has been used to sign up with. More information in Operate User Access and Security Groups. One for black and white printing. We recommend setting these up either as a Service or general Product record. This integration provides standard black and white and color printing, at a flat rate you set on the product record, with the possibility to provide the customer with printing credits. There are no page options available; no copying or scanning. All printing charges that go through Ezeep and Operate will become charge sheets which you can adjust and bill. It is currently not possible to track and charge any prints/copies that are made on-site, directly using your printers. The Ezeep integration works with Operate's Licence module, through which you can provide printing credits to your residential clients. If you add manual charge sheets for the print products you've configured, these credits will not apply and the customer will be charged for the prints when being billed. Find Ezeep in the list, click Install, then Open. On the welcome screen, choose whether you have an Ezeep account or not, by clicking the corresponding option. If you don't have an account and don't yet want to commit, you can try Ezeep for free, for 30 days. The integration does not depend on the type of account you have (either full or trial). Once you register, click 'Already got a Ezeep? Get Started!/ link to proceed. On the next screen, you need to log in with your Administator Username and Password. .Please ensure that you are using the account that you have signed up with, otherwise the integration will not connect properly. 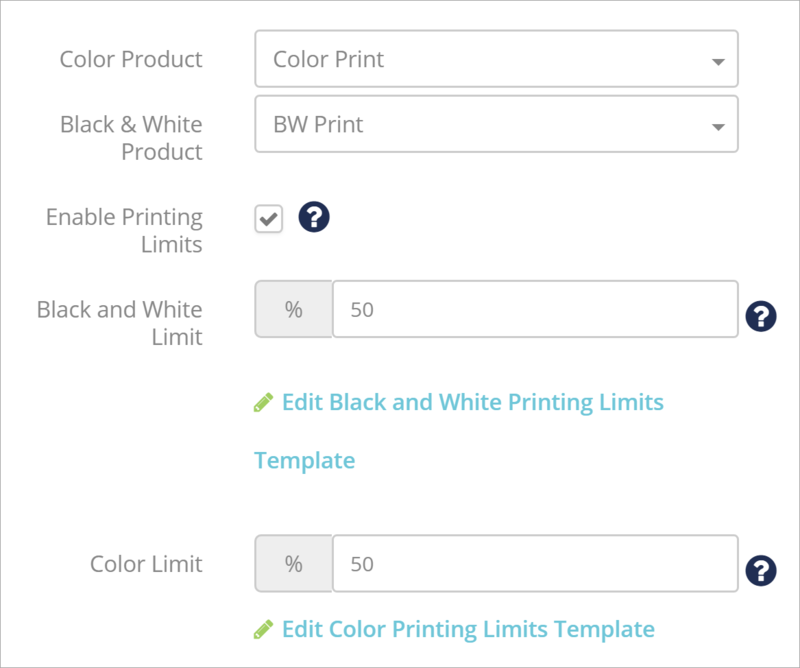 This section lets you configure which product records will be used to charge for color and black and white printing respectively; any printing limits you may want to set, as well as email notifications for customers approaching their limit. Select the Product records that you want to associate with color, as well as black and white printing. Check the box if you want to enable printing limits. This will prevent your customers from printing more than your set limit. Set printing limits - There are xeparate limits for each type of print. These limits apply per customer account, therefore to all contacts within that account. (Per client, not per person). When a customer is 10% away from their limit (for example if they reach 40 out of 50 prints, they will receive an automatic email notification that informs them about this. You can configure email templates for each of these limits, using the Edit Template links below the limit field. For more information, please see Creating Email Templates in essensys Operate. Here is an example of the default print quota email notification. You can easily customize it as described in the linked article or simply add more text to it, right within the table. This section displays a list of printers you have configured in your Ezeep account. These are automatically connected to Operate when you log in above. You can manage your printers within Ezeep and don't need to go through any printer configuration within Operate. What you do need to do is specify the Location / building where each printer is physically located. If the Location is not specified for a printer then charges will not be automatically created until this has been set. Any print jobs in this situation (sent to a printer with no set Location in Operate) will display as Pending next to the printer. Simply select the Location from the dropdown to configure it. Please note that your Locations need to have been previously configured, as explained in Managing Locations in essensys Operate. This section displays a list of your locations. Tick the box next to the ones where you want to enable the integration between Operate and Ezeep. As soon as a location is enabled the contact records for that location will begin to be uploaded to Ezeep as users. If a location is disabled then the users will automatically be removed from Ezeep as long as they do not exist at another Ezeep enabled location. This process is explained in more detail below. The record contains a First Name and Last Name - Contacts without one of these names will not be sent to Ezeep. The record contains a valid email address. The contact will receive an email notification from which they can access their Ezeep account and start printing. 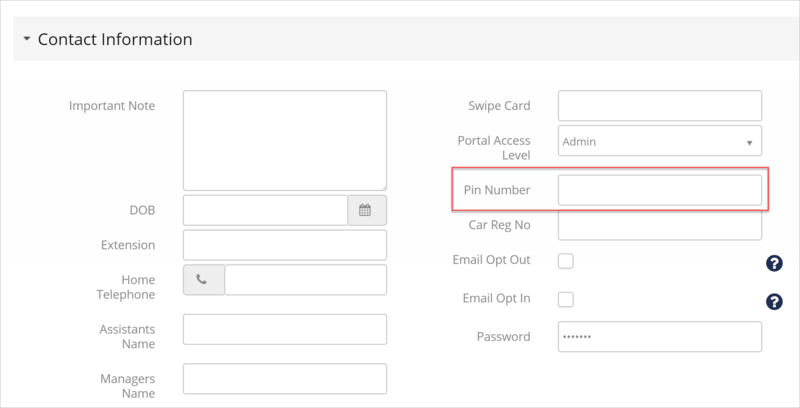 The record contains a PIN Number - This can be added into the dedicated Pin Number field, located on your Contact record. The exact placemebt of this field may differ depending on your layout preference. If you cannot find this field at all, please go to Settings > General > Customize > Contacts > Page Layout and add it in. More about this in Customizing Page Layouts in essensys Operate. Please be aware that if you do not have PIN numbers set, you will need to edit each contact record and update this field. A typical PIN Number is 4-5 digits. The Account that the Contact is associated to is set to a Location that has printing enabled. Unless you enable printing for the Account's Location, their contacts will not be sent to Ezeep. Read more about Operate Contacts management in Creating Contacts in essensys Operate. If a Contact with the same email address is assigned to multiple Accounts and therefore Locations, Ezeep will only pick up this contact once, regardless of how many accounts it is associated to. This is due to the assumption that a particular person is associated to a particular business, which receives printing services across your entire organization. This enables Ezeep and Operate to charge your customers correctly, no matter which of your buindings someone might decide to print at. When a Location is enabled on the Ezeep integration page, all contacts that meet the criteria above will be invited to Ezeep. When a location is enabled, a contact is associated with an account at that location and there is no account ID for that contact, the integration will create an account in eZeep to match and update the account id in operate. When a Contact is uploaded to Ezeep, the Account ID associated with it in Operate will be added as their Billing Code in Ezeep. Each Operate Location will be added to Ezeep as a User Group. If a Contact is added to more than one Location in Operate, they will be added to all corresponding groups in Ezeep. You can manage permissions for each group, according to Ezeep's User Policies. When the location is enabled and the one of your users (as an operator) has logged in to Operate OR The Contact has been updated OR The Account has been updated OR The location has been updated - Then the integration will update Ezeep with the changes. When the contact email changes, the integration will update Ezeep with the change. If a Location is disabled, an Account is terminated/removed or the Contact record itself is removed from a particular Account record, then the Contact willl be removed from the Ezeep users list as long as there is no record with the same email address at a different location; therefore under a different Operate customer Account. When the location is disabled, a contact is associated with an account at that location and there is an account id for that contact, the integration will delete the Ezeep account. When the location is enabled, a contact is associated with an account at that location and the account end date has passed OR Contact has been deleted OR Account has been deleted OR location has been deleted OR location has been discontinued; the integration will delete the Ezeep account. When a Location is unticked on the Ezeep integration page, then all associated contacts are disabled/deleted from Ezeep. All users created through this integration will be able to log into Ezeep using the email address registered within Operate and their PIN number. Further user login configuration can be made directly with Ezeep. Further information about users and permissions is available in Ezeep's Quick Setup Guide.